WBJEE JECA 2019 Application Correction has been Started on 17th April 2019. The Exam will Be Held on 13th July 2019. WBJEE JECA 2019 is a placement test sorted out to confirm MCA (Master of Computer Applications) courses. The qualified candidates shall get Confirmations after they pass a written test of 150 marks carrying 150 questions from Mathematics and Aptitude subjects. The successful candidates will be able to get admission in Govt./Private foundations in West Bengal state. The examination arranging body is WBJEEB which implies West Bengal Joint Entrance Examination Board. This selection test is exceptionally popular in West Bengal state and consistently been amongst the platforms for a huge number of candidates who anxiously seek notification dates. Here we have provided for you all WBJEE JECA 2019 exam related events. WBJEE JECA 2019 Application Correction has been Started on 17th April 2019. Click Here to Check Correction Details. WBJEE JECA 2019 Application Form can be filled till 16th April 2019. Click Here to Application Details. WBJEE JECA 2019 Exam Date has been Announced. Click Here to Check Exam Dates Details. Here are the critical Dates for WBJEE JECA 2019. The outline appeared underneath has the speculative dates that can be trained by the candidates to get refreshed with the essential happenings of the examination. There will be no printed form available. WBJEE JECA 2019 Application has been Available on 2nd April 2019. Candidates can be Filled Application till 16th April 2019. Fill out the genuine details. It would be essential to have a valid email id and mobile number. WBJEE JECA 2019 Application Correction has been Started on 17th April to 19th April 2019. Register by filling- candidate’s name, father’s name, mother’s name, date of birth, mobile number and email ID. 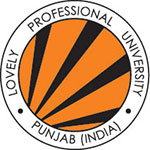 Complete the form- Personal Details– (Gender, Domicile, Blood grp., Category, Religion, Aadhar), Address details– (State, pin code, district), Qualifying examination– (name of the institute, address of the institute, pass status, university registration number), Choosing examination center-up too 2). Now upload images- the images must be scanned. The fee would be payable by online mode using ‘Net Banking’/ ‘Debit Card’/ ‘Credit Card’. Module-1– UGC/ AICTE recognised 3 yrs. UG degree (except BBA with mathematics at 12th level) with min. 50% marks in aggregate (45% for SC/ ST/ OBC-A/ OBC-B candidates at UG level). Module-2- 3 yrs. UG degree with min. 60% marks in aggregate (45% for SC/ ST/ OBC-A/ OBC-B along with 60% in Mathematics at UG and 60% at 12th level. Module-3– 3 yrs. 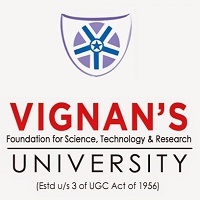 UG degree in any discipline of B.E./B.Tech/BCA with 60% in Hons. (45% for SC/ST) with Mathematics in UG. 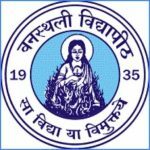 Module- 4– UG degree pass in B.Sc. Hons. with at least 60% in Hons. (55% for SC/ST) with Mathematics and (i) 60% marks in 10th class and 12th class in aggregate and 60% in Mathematics. The Exam will Be Held on 13th July 2019. There will be two sections in the question paper. Section A will cover topics from Mathematics and Sections B from Aptitude. Analytical Geometry- Straight line/ Cartesian and polar coordinate/ Translation & Rotation of axes/ Circle/ Ellipse/ Parabola and Hyperbola. Algebra- De Moivre’s theorem/ Complex number/ Summation of signal series/ Solution of linear equations/Addition of vectors/ Determinants/ Scalar and Vector products/ Matrices/ / Inequation/ Universal set/ Sets and elements/ Empty set/ Algebra of sets/ Subsets/ Finite sets/ Venn diagram/ Complements/ Union and intersection of sets/ Class of sets/ Ring and Field/ Partitions and Cross product. Calculus- Partial differentiation/ Limit, Continuity/ First and second order differential equation/ Differentiation/ Taylor & Maclaurin Series/ Maxima & minima/ Definite and indefinite integrals and Functions of several variables. Probability & Statistics- Correlation coefficient/ Permutation/ Standard Deviation/ Combination/ Probability distribution/ Probability/ Mean/ Median and Mode. Reasoning/ Quantitative Comparison/ Problem Solving/ Discrete Quantitative Analysis/ Data interpretation. WBJEE JECA 2019 Admit card will be released online only. WBJEEE JECA 2019 Admit Card will be Available on 4th July 2019. You will have to visit the official website at www.wbjeeb.in. WBJEE JECA 2019 Result will be Declaring on 13th August 2019. Along with individual marks, total marks, rank, rank card will also be published. The duplicate rank card will not be published. Securing a rank in JECA 2019 does not guarantee the seat in institutes. Authorities will publish a separate notification for counseling/ seat allotment at www.wbjeeb.in shortly after result publishing. Credentials must be brought at the counseling center for interrogation. Also, bring the course fees. For any other queries about WBJEE JECA 2019, you can leave your queries below in the comment box.